245,620 page views over twelve months, updated daily. Skegness Town Council endeavours to make Skegness a better place to live, work and visit. Our website includes a wealth of information about how we conduct business and what we do. Use the search or browse the site to find whatever you are looking for. If you can't find what you want or would like to recommend any improvements to our website then please contact us. Part of the civic duties of the Skegness Town Mayor is to attend local events and functions. This is done to support the local community, to support local charities, to promote the Town as a visitor attraction and to mark special occasions or events. This may involve opening an event, making a short speech or perhaps presenting awards or prizes. If you would like the Mayor to attend your event, please complete the booking form here. Notice is hereby given in accordance with the Local Authority Cemetery Order 1977 that Skegness Town Council will be conducting memorial inspections at St Clements Church, Church Road North, Skegness, PE25 2QH and St Mary Church, Church End, Winthorpe, PE25 1EJ from 29th April 2019 to 3rd May 2019. If you would like further information about memorial safety and how the inspections take place please contact the Town Clerk or Deputy Town Clerk at Skegness Town Council. Skegness Town Council has become the latest organisation in England to gain national recognition for its commitment to customer service, after being awarded WorldHost Recognised Business status. WorldHost Recognised Business status is awarded to businesses that have trained 50% or more of their front line staff using any of the WorldHost training programmes and signed a commitment to delivering excellent customer service. With over 80% of its staff trained to WorldHost standards, Skegness Town Council has officially become a WorldHost Recognised Business. On receiving the recognition, Steve Larner, Town Clerk commented: "We are passionate about service standards and are incredibly proud to have achieved WorldHost Recognised Business status. When our customers see the WorldHost logo displayed, they'll know that we have made a commitment to delivering an exceptional experience for them. 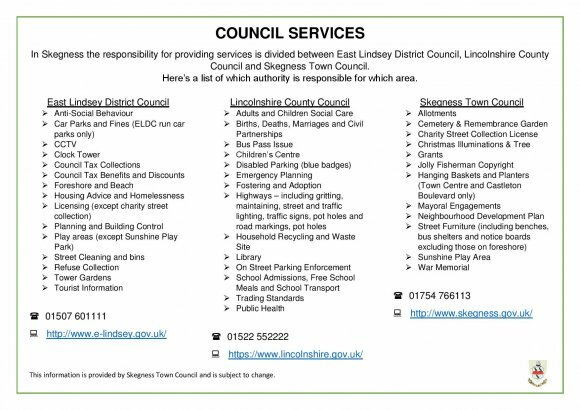 Not only does this generate a positive buzz about the service we offer, but it helps to promote Skegness as a friendly and welcoming Town. " Jane Rexworthy, executive director at People 1st International, congratulated Skegness Town Council on its achievement. She commented: "Becoming a WorldHost Recognised Business is a fantastic achievement and it's incredibly encouraging to see Skegness Town Council willing to go the extra mile for their customers. "This training means that the staff at Skegness Town Council have the skills and knowledge necessary to deliver first-class customer service, giving their business the excellent reputation it deserves. I have no doubt WorldHost will have a positive impact on their business. Congratulations to all involved." The WorldHost Recognised Business certificate is valid for two years and is renewable on completion of a refresher course. XHTML 1.0 validated. WCAG compliant. Page generated in 0.1963 seconds.